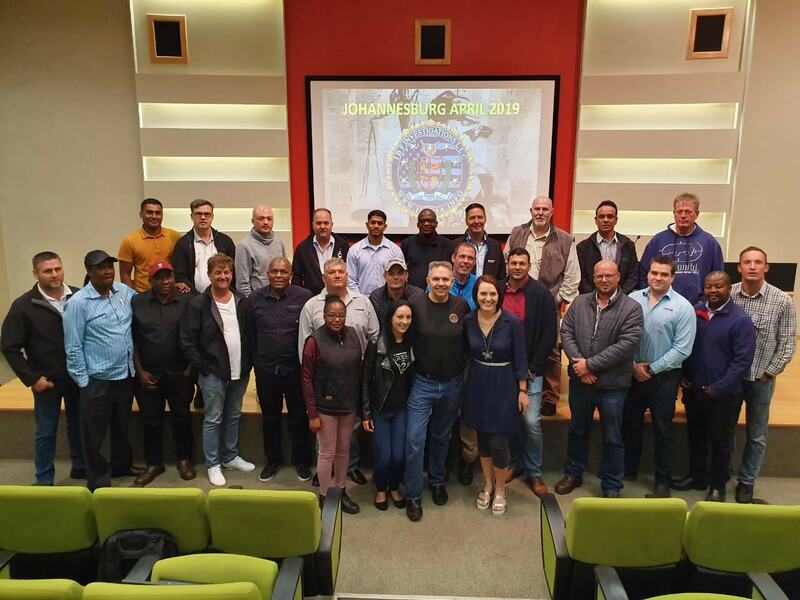 Some South African Heavy Commercial Transporters were treated to a 2-day course on At-scene Crash Investigation focusing on the differences between the US and South African methods, protocols and laws. Presented by Stan Bezuidenhout from IBF Investigations LLC, from Milwaukee Wisconsin, the course prepared the South African delegates for the challenges of tomorrow, through examples from actual US cases. The 28 attendees, ranging from Operational Managers to Senior Managers and Fleet controllers, were all issued with International Certificates of Attendance. While it is true that the USA is a first world country and that there is still a lot of growth potential in South Africa, by comparison, the gap between the legal systems is ever closing. To this end, Stan brought his knowledge, experience in actual US cases and his understanding of the shortcomings of South African models to his clients, in a powerful, intensive and informative two-day workshop. Stan has spent the last 20 years developing an ever-evolving at-scene and post-event crash investigation protocol, based on his personal experience. having paid the school-fees that helped him develop his career internationally, Stan is very opposed to “training-in-a-box” and prefers to present courses that remain relevant, informative, interesting and current. Over the two days, Stan used examples from actual US cases to sketch a scenario of a future in South Africa. By adopting the more developed investigation strategies used in the USA alongside their more refined system of jurisprudence, Stan is able to map a course towards the experiences South African investigators of today may encounter in five years or more. Over the years, Stan has consistently led his industry with a long list of first and unique innovations. As the first private emergency response investigation service in Africa the first to introduce Digital Cameras, Laser Total Station Scanning, 3D Laser Scanning, the use of Drones, Photogrammetry and 3D Animation to the South African crash investigation industry, this is another first for Stan. Feedback received indicated that future courses would be very well received and that further specific topics, like human factors, cognitive psychology, risk mitigation and bulk fuel and chemical crash investigation might be on the cards. “Thanks. The Training was off the cuff and not death by PowerPoint. A relaxing presentation style.” – Gary L.
“The course was very interesting and I enjoyed it a lot. I would definitely attend future courses.” – Rhyno B.